The legal sports betting boom has been well-documented over the course of the last many months, with billions of dollars being poured into the industry in states where it has been deemed permissible. Harris Blitzer Sports & Entertainment (HBSE), the parent company of the National Hockey League’s New Jersey Devils and National Basketball Association’s Philadelphia 76ers, among other properties, has taken full advantage of New Jersey’s aggressive push to legalize sports betting, which came following May’s Supreme Court ruling. In October, casino giant Caesars Entertainment announced multi-year partnerships with both teams, which included a 5,000 square foot restaurant and bar, open to Devils’ premium seat holders at Prudential Center. On January 31, it will officially open in a ribbon cutting ceremony in Newark, New Jersey prior to the sold out Devils vs. New York Rangers game. 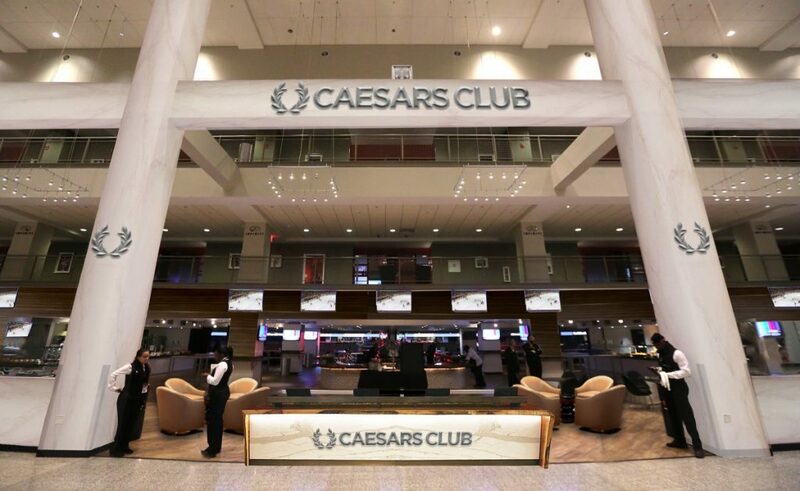 Within the newly branded lounge, located on the main concourse, Caesars will promote its two physical sportsbooks in Atlantic City and its betting app. Other assets of the partnership include LED signage exposure, branding on premium tickets and wristbands, and an on-ice promotion in which a fan has the chance to win an all-expense paid trip to Las Vegas. At Wells Fargo Center in Philadelphia, Caesars will focus on driving fans to Harrah’s Philadelphia through various digital and in-game contests. The partnership will also feature in-game and online promotions to win all-expense paid trips to Las Vegas. Aside from Caesars, the Devils partnered with William Hill and FanDuel earlier this season, opening up a William Hill branded lounge with staffers inside to assist fans with bets. The two agreements include promotion through other channels, such as live odds on the scoreboard and branding across social channels. Strategically, all three arrangements are non-exclusive, allowing the organization to capitalize on various partners as this new category of sponsorship opens up to the sports industry and best-practices continued to be explored. Despite the change in federal law less than one year ago, HBSE is one organization that has emerged at the forefront of this new landscape. As more states continue to legalize and relax sports betting laws, it will continue to be a fascinating space to follow.